Do you want to learn web development step by step? Are you searching for the best way to learn web development online? For starters, you can go to your college library, and search for books about Web Development. But that can be tough. Ask Me! To learn Web Development you need to be dedicated. And on top of that you need someone to help you learn web development from scratch. But that shouldn’t stop you! There are plenty of useful websites that provide instant Web Development tutorial. 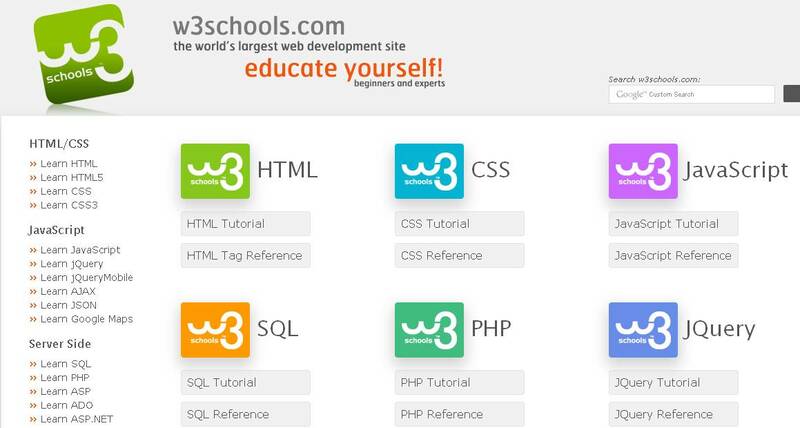 W3Schools probably is the most popular website to learn Web Development tutorial. The most unique part of w3Schools is its TryIt Editor (see image below). A kind of text editor which has code on its left side and the output on its right. The website has its own code to explain different tags. You can even add your own code and see its output. Udacity is a renowned name to learn Web Languages. 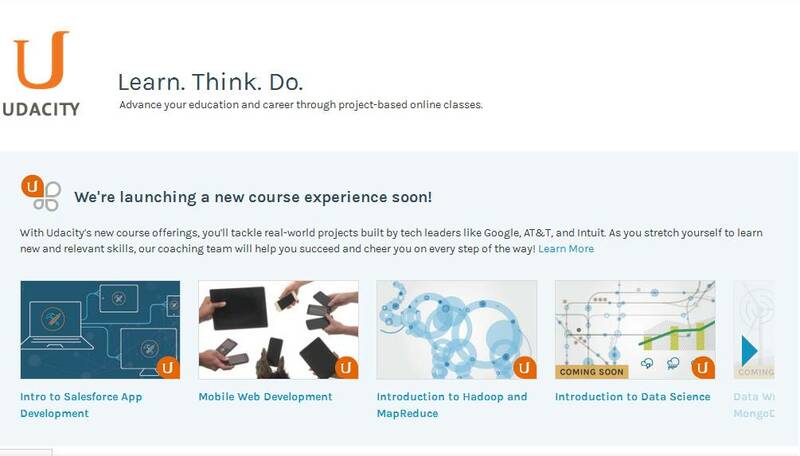 Unlike W3Schools, Udacity has different Web Development Courses. It can help you learn Web Development step by step. Udacity also hosts other popular courses like building a start-up, Game development, Parallel Programming, Artificial Intelligence and tons of other topics. So if you’re done with learning a Web Language, you can readily learn other topics of your interest. Here is the list of all Udacity courses. The name might sound a bit off but trust me, The New Boston will get your job done. I learned some Web Languages from The New Boston and that too very quickly. The best feature is, it hosts video tutorials instead of DIY code. So you can see and learn each and every line of code. The tutor Bucky Roberts with humorous talk makes the mood lighter. This make learning Web Development fun and easy. It has around 46 videos of XHTML and CSS altogether. So even if you watch 3 videos/day, you can easily learn XHTML and CSS in just 15 days. 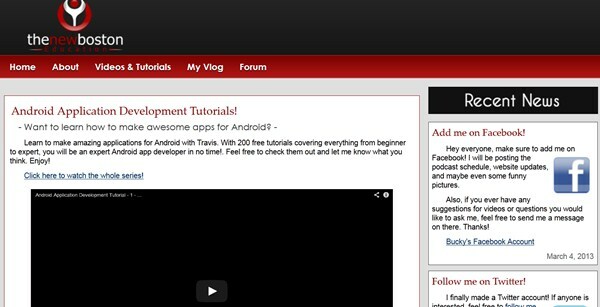 To talk more, there are 200 videos about PHP, jQuery and Android Development each. 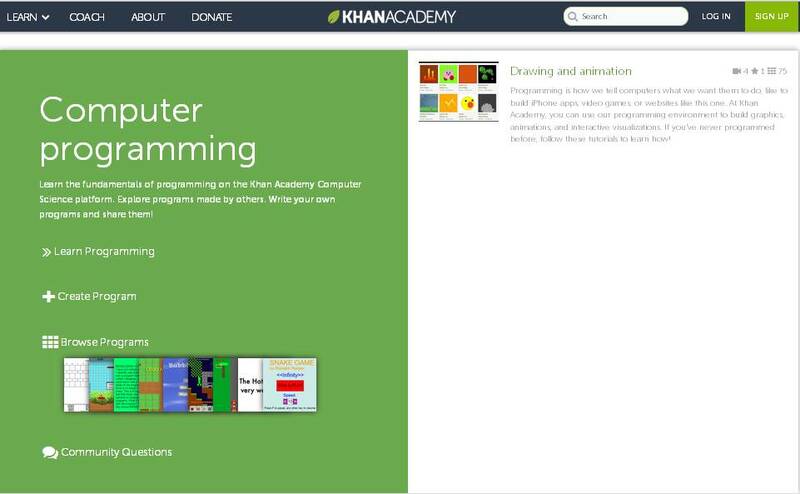 Khan Academy is by far the most sophisticated place for people to learn Web Development courses. This website is useful for people interested to learn web languages easily. But it can be useful even for school going and college students since it hosts topics ranging from Maths, Science, Economics and Finance. What if you want to learn Web Development from scratch? What if you belong from Commerce and Finance background but still want to learn Web Development step by step? For such people guidance is most important and this is what Code Academy does. 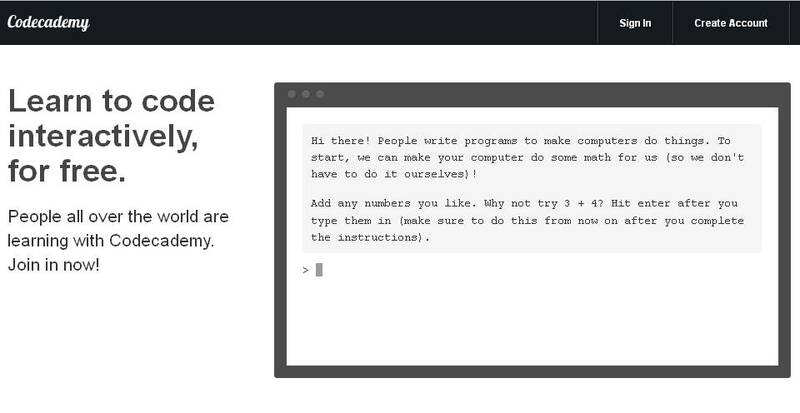 Code Academy teaches you web languages like any teacher would do in institutions or maybe much better than that. Go to Code Academy; register yourself, select the web language you want to learn. Code Academy then puts forth tasks in front of you. So instead of whole set of tutorials, Code Academy lets you complete various Web Development tasks. This makes learning more fun and less obtrusive. Step-by-step you’ll complete the tasks and at the same time even learn web development. Below is video from Code.org in which famous personalities like Bill Gates, Mark Zuckerberg, Will.I.Am and many more explain the importance of coding. In this post I’ve tried the best I could do to put forward the first step to help reader to learn web development online. Now its your turn to take a step forward and learn how to code. If you have any queries please leave a comment below. Wanna tell other readers about your experience of coding? Have suggestions about other website? Do leave a comment below. AllTechTrix loves to hear from you. Wonderful resources shared I guess, I was just started into web development stuff and your sources are really helpful. Great shared. Btw i used udemy where one can learn directly from scratch though videos by enrolling into free courses.. I have been a member of Khan Academy for 2 years now, recently joined codeacademy and W3 helps me always when I search in Google. Thenewboston videos by Bucky are the savior for me many times, I have been watching them since 2011. I didn’t knew of Udacity, you compiled the best of the resources. W3Schools was one of my favorite resources and being and IT Engineer, I have learned so many things from here in my engineering career. This site is the best start for every computer engineer or programmer to learn so many useful and valuable skills. Further, I have discovered one another resource which seems more qualitative and that is TutorialsPoint. TP is another great such source to learn web development. There on TutorialsPoint, some other valuable tutorials are available too. 1) Various programming languages including C, C++ which are rarely available on FREE online sites. 2) OS level courses such as Windows,Linux,Unix etc. 3) Application level courses such as MS Office, MS Excel, Eclipse etc. 4) Latest technology courses such as Android development, iOS development etc. are available too. I would recommend these two platforms for web developers. Further, I would say, TutorialsPoint is a great source for every computer user to learn something valuable to make their task more productive. Ya I agree with Kamlesh, Udemy is best source to learn not only coding but many other things. They have free and few paid courses on various fields like Programming in C, C++, Java, PHP etc. Along with this they also have video tutorials on various other things like SEO, Web designing etc. I really like to learn from video tutorials on Udemy. Give it a try.